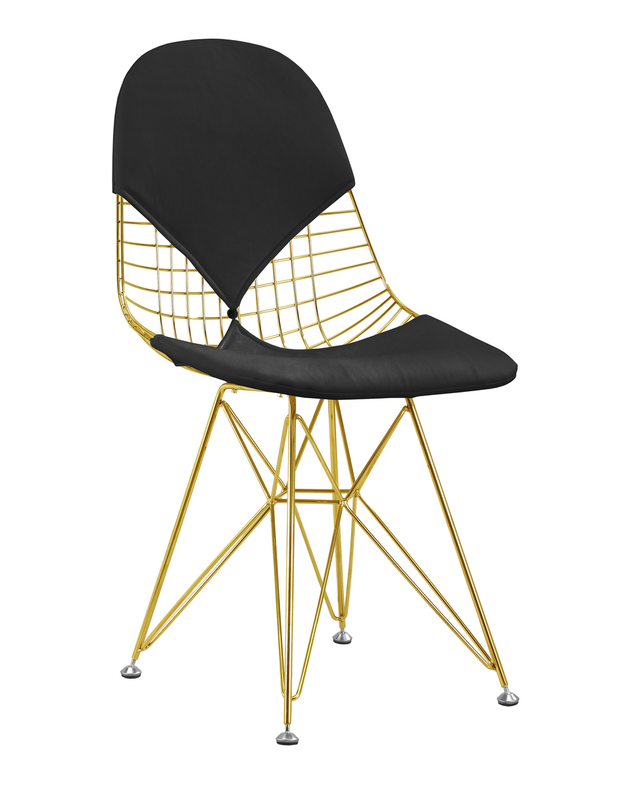 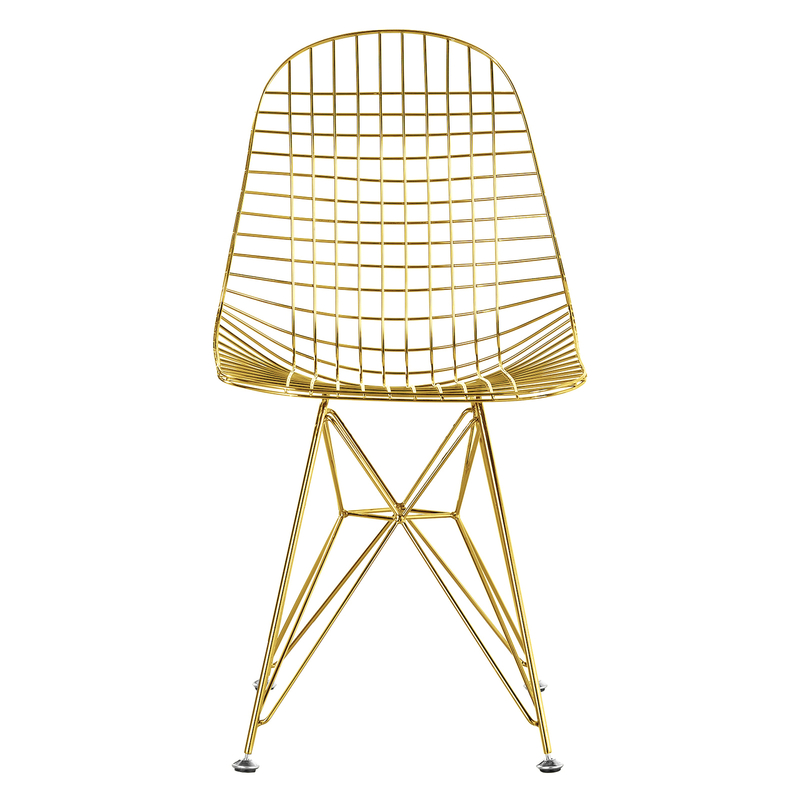 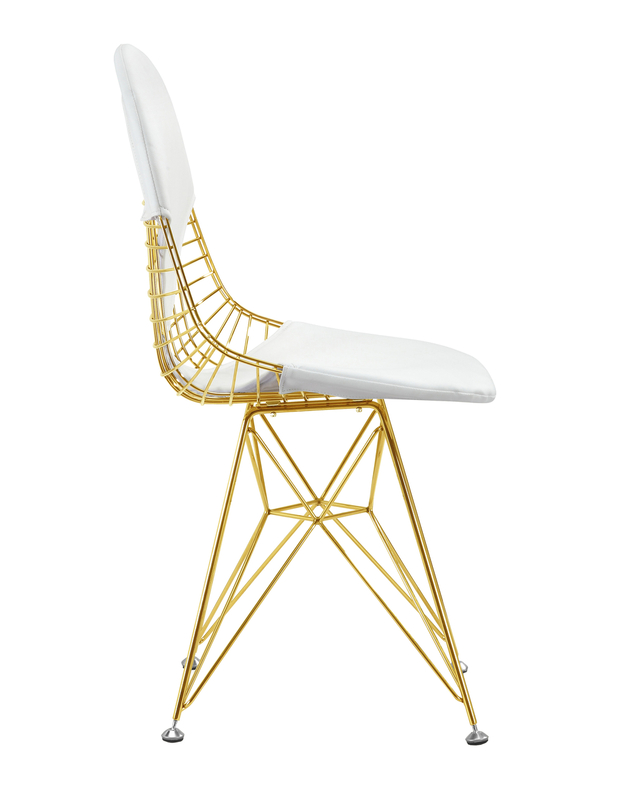 Our Gold Wire Side Chair is a high quality reproduction of the original design. 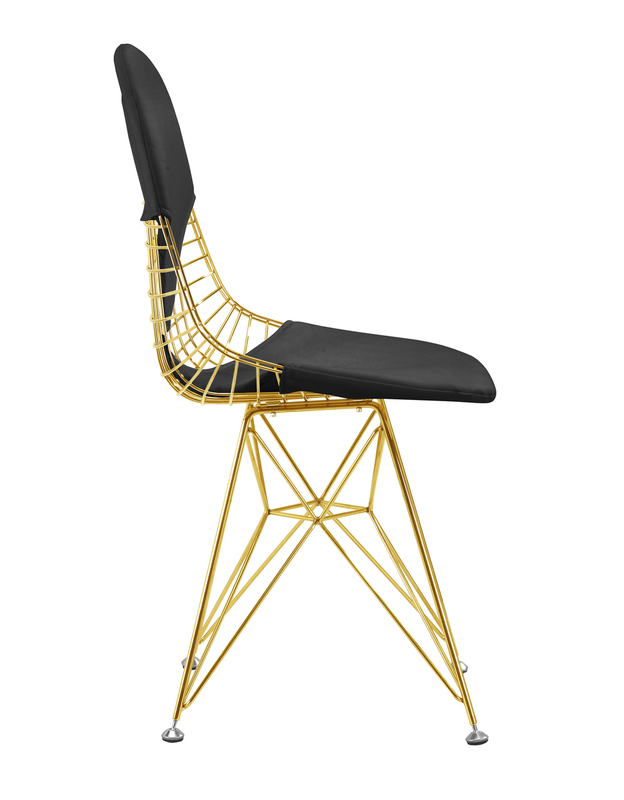 It is a study of space, form, and function. 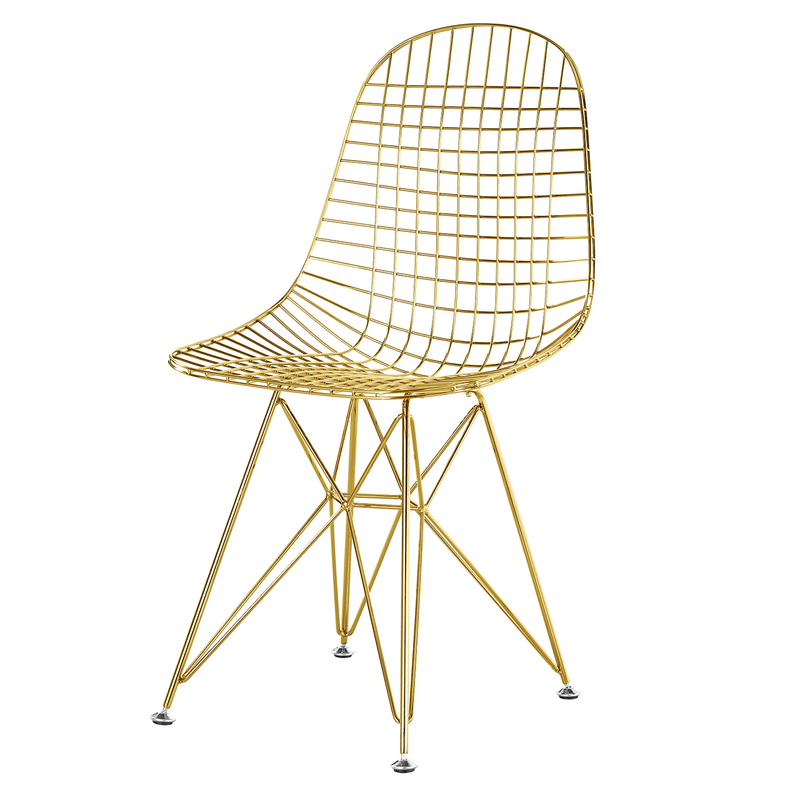 The Wire chair is exceptionally strong and surprisingly comfortable with its unique bent and welded steel rod construction.